Kent Somers (azcentral.com) and Jimmy Kempski (phillyvoice.com) are Arthur Arkush's guests on this week's show, featuring offseason recaps of the Cardinals and Eagles. 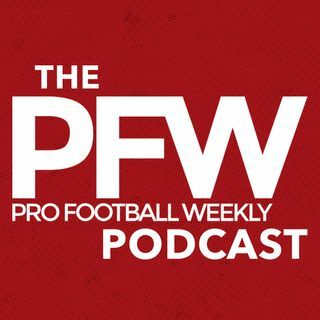 Somers reports on Carson Palmer's altered practice approach, and how (throwing) less could equal (producing) more when the season arrives. Somers also talks rookies Haason Reddick and Chad Williams, the leadership lessons they'll learn from Karlos Dansby and Larry Fitzgerald, and explains just how big of shoes ... See More Calais Campbell left for Robert Nkemdiche to try and fill. In Philadelphia, Kempski breaks down Carson Wentz's new-and-improved WR corps, the mechanics the second-year QB is working to refine and why, and provides updates on rookies Derek Barnett, Rasul Douglas and lots more.